Effective website design: In order for you to succeed at your online business (whether you are selling your own product/service or are selling for other merchants as an affiliate), your Web design must be just for that - a simple, focused site. One that is easy to build, maintenance-free, low cost, credible, and a powerful traffic-builder and customer-converter. Having the right tool and the right product alone doesn’t ensure the success of your website. 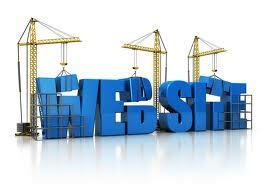 There are many factors to be considered in effective website design. Unfortunately, most of these are overlooked by offline business owners using the internet to promote their business. It's a fact of modern life - people are in a hurry. This means that you have between 10 and 30 seconds to capture your potential customer's attention. To minimize your load time, keep graphics small. Know who your market is and make certain that your site caters to their needs. It is critical that your site reflect the values of your potential customers. Is your market mostly business professionals? If so, the site must be clean and professional. Is your product aimed mostly a teenagers and young adults? Then your site could be more informal and relaxed. The key here is to know your market and build the site to their preferences. Make certain your web site is focused on the goal, selling your product or service. A site offering many unrelated products is not necessarily unfocused, but this is often the case. If your business does offer many products, dedicate a unique page for each instead of trying to sell them all from one page. The most professionally designed site won't sell if your customers don't believe in you. A clear privacy statement is one way to build your credibility. Provide a prominent link to your privacy statement from every page on the site as well as from any location that you are asking your visitors for personal information. Provide legitimate contact information on line. Make site navigation easy and intuitive. Simple and smooth navigation adds to the convenience of the visitors. Add powerful search and catalogue features. Many times a lot of visitors do not have the patience to navigate through the whole website to find what they are looking for. Make sure the site is consistent in look, feel and design. Nothing is more jarring and disturbing to a customer than feeling as if they have just gone to another site. Keep colours and themes constant throughout the site. Add feedback forms as well as email forms that allow your prospective customers to ask you any questions they might have pertaining to a product. Personalizing your website is another key element that can lead to customer delight and can increase your sales. Personalization technology provides you the analytic tools to facilitate cross-selling and up-selling when the customer is buying online. Good content sells a product. Ask yourself the following questions. Does your copy convey the message you wish to get across to your visitors? Is it compelling? Does it lead your visitor through the sales process? Have others review, critique and edit your copy to ensure it is delivering the intended message. Always double check your spelling and grammar. These eight, simple rules will go a long way toward an effective website design, and most importantly, turning visitors into customers. Do You Know What Web 2.0 Can Do For Your Business?